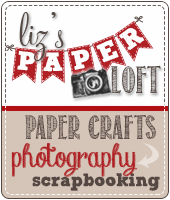 Liz's Paper Loft: Guest Designer: Cassandra! Hello everyone! 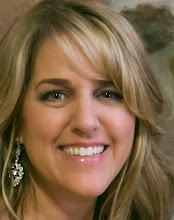 This is Cassandra from Creating with Color by Cassandra and I'm so excited to be filling in for Liz today. She is my amazing and super talented teammate on the My Creative Time ~ Design Team and I was more than happy to help her out while she is recovering from surgery. I have no doubt that by now she is having some major crafting withdrawals :( Especially because this week is Sneak Peek Week over at My Creative Time and I know Liz will be soooo bummed that she is not able to participate. So in order to make sure she didn't miss out on too much, I made this card with some of Emma's new stamps from this month's release. I decided to go with a simple and classic look today instead of the colorful rainbow kick I have been on lately...lol. The black and the off-white cardstock are from Recollections. 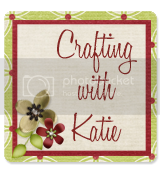 The kraft colored cardstock is from Joann's. The super neat background stamps for all four squares in the background are from the brand new My Creative Time ~ Coffee Break stamp set. (Notice that the upper right square and lower left square are the same stamp - I just used it twice). The coffee cup stamp in the center is from another brand new release this month the My Creative Time ~ You Are Perk-fect stamp set. I popped it up a little with some pop dots for dimension. All of the ink is black ~ Ranger Archival Ink. Now for those of you who don't really know me, I'm a "little OCD" - ok maybe "a lot OCD" depending on who you talk to...hee hee. So I tend to like clean lines and symmetrical layouts. So if any of you are a little like me, then you might like this tip. To punch the smaller squares inside of the black squares, I used the Creative Memories ~ double square punch (the larger square of the two). It fits these stamps perfectly! Then for the black squares, I used an EK Success square punch - it's the pink one that I think measures 1 3/4 inches. 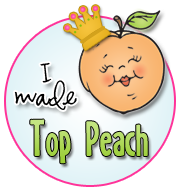 This super sweet sentiment is also from the My Creative Time ~ You Are Perk-fect stamp set. I just love the fun font. The heart stamp is from the My Creative Time ~ My One & Only stamp set. Well, that's it for me! Super clean & simple with classic neutral tones. Not my usual colors of the rainbow...lol...but I think it turned out nice. I hope you all like it. 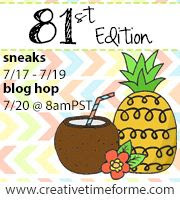 And if you want to see more of the new My Creative Time ~ March Stamp Release, make sure you head on over to Emma's blog at My Creative Time so that you can start at the beginning of our super fun Blog Hop today! Now I hear that ~ Liz has some exciting news to share with you, but not quite yet. However, in the meantime, while she's recovering, she is reading every comment! Not only is she reading them, she's counting them, because at the end of all this, she will have two announcements! The first will be a winner of some exciting BLOG CANDY! The second, it's a big one...and no, she's not coming out with stamps...you just have to wait and see! So make sure you all leave her some fun comments to read to keep her busy during her recovery! And a big, gigantic THANK YOU to Liz for giving me the opportunity to fill in for her today...it was lots and lots of fun! I'm wishing you a super speedy recovery my friend! Hang in there...YOU CAN DO IT!!! Thanks, Cassandra, for your FABULOUS project and help during my recovery! 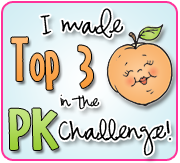 I am loving the color palette and your little bitty stamped squares, Cassandra! This is absolutely adorable!!! Cassandra ~ Oh my this card is just so FABULOUS! Great layout and the colors are sooo monochromatic! Which I LVOE! Great way to use those tiny background stamps! Congrats and Great job! Liz ~ I hope this comment finds you doing MUCH better! I more day closer to a FULL recovery! Great card! Speedy recovery Liz! Thanks for the square punch tip...I have the squares. Great card...I like the balance it has. Now that I know Liz is reading the comments...I would like to wish her a speedy recovery and hope the painful part is behind her! I know it must be hard to be so talented and have to go cold turkey! I hope the time away has and will go quickly for you. Great neutral color palette--perfect for the coffee stamps. Fabulous card, I love the clean lines of it! The background stamps create a great background for the card. You did an awesome job! Hope all is well with you Liz! Hi Liz!! Hope you are well on your way to recovery!!! What an awesome card!!! I love the overall LO and these so adorable stamps!! Thanks for having Cassandra share her beautiful work! Awesome card Cassandra!! I love how you used these stamps and great job with the design also!! Liz, I hope your feeling better and your recovery is going good.... take care! I love your card and how you used the background stamps. Great job! I love your color choice and the layout! Great job Cassandra. I wish you a speedy recovery Liz! Super cute card. I love it. Get well quickly Liz! So sorry to hear you are under the weather. I love this card! The colors are perfect! I saw this wonderful card on the My Creative Time blog and loved it then too! The squares of pattern and the mono chromatic design are perfect! Great card! The kraft paper looks great with this set! I love this with the kraft paper! This would make a great framed item for kitchen decor!